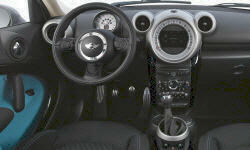 Why the 2011 Mini Countryman? This car is easily one of the best vehicles I've ever driven on snow and ice. With a decent set of winter tires, the AWD is very active and works like a charm. The MINI Countryman has a suprising amount of storage and cargo capacity. We've taken ours on numerous multi-day road trips and it has managed fine. You can't take everything including the kitchen sink but it functions admirably for our family of four. As a four cylinder turbo engine with a 6-speed manual transmission, this car goes like crazy when you hit the gas. You can watch your gas mileage drop dramatically when you move at high speeds but it is very quick and nimble. 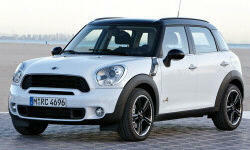 Why Not the 2011 Mini Countryman? I've never had a car that is more fun but more aggravating with maintenance. We bought the car with 80,000 kms and put on another 80,000 kms but had numerous trips back to the shop for a wide assortment of problems: fuel pump, valve cover gasket, spark plugs, tailgate actuator, etc. Because MINI is a BMW product, the maintenance is seriously expensive. We had the good fortune of including the extended warranty when we bought the car and it paid for itself many times over. Don't plan on doing much work on this car as a DIY item since everything is packed in so tight. Unless you have the specific tools required, it is more of an adventure than it's worth.